We often look for cleaning products and solutions to find cheaper, easier and more effective ways to clean. Some use natural ingredients to be greener and help protect our environment and the earth. Others search for products that make the cleaning process quick, easy and cheap. 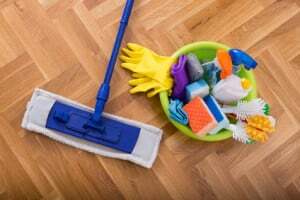 Some cleaning products your mother and grandmother recommended are still some of the best cleaners on the market but rarely used; others don’t truly ‘clean’ or ‘disinfect’. Some of the many new and improved products come with a hefty price tag, but don’t tackle the tough stains and bacteria. While many people rely on bleach and/or vinegar, they don’t necessarily ‘clean’ everything. Both products can be corrosive and damage a variety of surfaces within a few minutes or over time. Both products – even diluted – can kill germs by allowing them to dwell on surfaces. Bleach is great to disinfect bathrooms because those surfaces are generally non-porous and vinegar can be a great window cleaner if it’s diluted with water. Bleach can be used to launder whites as most people know and vinegar can also be used to launder certain types of clothing. While both products are great for cleaning some areas, don’t rely on only those to products to clean everything. Using antibacterial products or disinfectants may be required by some facilities. These products require following specific instructions to work properly, and most antibacterial products should dwell on surfaces for a few seconds or a few minutes to kill almost all germs. The only germs that cannot be killed by disinfectants are mold spores. Government agencies are still testing a variety of antibacterial products. As recently as 2014, the FDA reported that using general soap and water to wash your hands kill as much bacteria as antibiotic-labeled soap, mainly because most of today’s soaps use the active ingredient triclosan. Along with the FDA that studies the effects of antibacterial products, the EPA registers antibacterial cleaning products, which includes its EPA registration number on the label. Not all cleaning products that disinfect are EPA-registered. Many that are registered are much more expensive. Some household products and other items can kill germs and aren’t registered. This includes hydrogen peroxide, lemons, and bleach. Vinegar can kill some bacteria. As long as these products are used and diluted properly, then can be a cheap solution to killing germs and some work well as deodorizers. Many products are labeled for specific areas, such as kitchens and bathrooms. Some are also labeled for specific surfaces such as windows and toilets. Purchasing and storing all of these products can be costly, time consuming and require a large amount of space that can be used for other purposes. In general, all of these products are not needed. Cleaning an entire facility can be accomplished using only 3 or 4 products, with a few exceptions. An “all-purpose” cleaner is exactly what it says it is. It can clean a variety of surfaces and floors by following the manufacturer’s instructions regarding dilution ratios for specific areas and surfaces. While floors require less product mixed with water, countertops, sinks and other surfaces may require more product or the product to be used at full-strength. Exceptions include facilities that require ‘approved’ products that disinfect specific surfaces to kill germs and bacteria. Other facilities may require using “green” products. If an aggressive cleaning is required, the job may require specific products, such as grout cleaners, strippers or wax. For general cleaning, a large number of different products are not required. Today, the market is saturated with cleaning products that make many claims. While some claim to kill 99.9% of bacteria and germs (if used properly), others claim they’ll get any stain out, no matter what kind of stain it is. Sadly, many of us purchase the products and are not satisfied with the manufacturer’s claim – some of those products just don’t do the job. Read reviews and select products carefully before being blown away be commercials that show miracles. Other tried and true products that are trusted and been around for years may not be the best solution. Things such as feather dusters and string mops are highly regarded but only best for certain situations. Feather dusters are excellent for collecting dust if the feathers are ostrich feathers, which are expensive. String mops are great for large spills, but microfiber mops remove more dirt and bacteria, and require less maintenance. Other cleaners date back many, many years. Things such as pure pine oil works well and can clean a variety of surfaces, and even used to launder clothes. It also disinfects. Borax can also be used for a variety of cleaning applications. Oils, such as standard cooking oils, lemon or and essential oil work well to polish and protect wood. It’s important to use your best judgment to purchase cleaning products, whether it’s for your home or for cleaning clients. Worldwide Janitor offers a variety of products to meet your cleaning needs. This entry was posted in Disinfectants, General Cleaning, Green Cleaning Products, Hand Cleaners, Janitorial, Laundry and tagged 80% Pure Pine, All-Purpose Neutral Cleaner, chlorine bleach, microfiber. Bookmark the permalink.